Electrical injuries can happen anytime and anywhere. At Teplinsky Law Group we represent clients who have been seriously injured because of electrical shock and electric injuries that occur at work, in public places, while on vacation, at home, or anywhere. If you have been injured from electric shock or a loved one has been killed due to someone else’s negligence, our qualified attorneys will be able to help you seek the compensation for the monetary damages that have been done to you. One of the frightening aspects of electrical shock is the range of injuries that can occur. They can be minor or they can result in lifelong disability. Regardless, the injury results in lost wages, medical bills, and other costs. Your Minnesota personal injury attorney will be able to investigate the matter and determine what compensation you are entitled to. Your attorney will determine who is responsible for the electric shock and hold them accountable for their negligence. There may be one party responsible or more than one. If there are multiple parties, then they can be named in the personal injury lawsuit and be held liable for the monetary damages. Responsible parties can include the landlord or owner of a structure, a condo or housing association, the city council if the incident occurred in a public area, a daycare or childcare facility, a school, your place of work, an electrical company or contractor who exercised poor safety practices, or an individual. 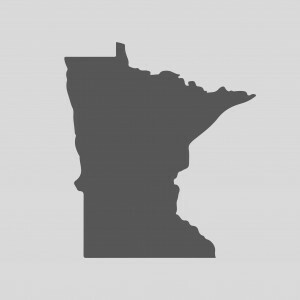 Your Minnesota personal injury will identify the parties and why they were responsible. The exact act of negligence can be specified and this can strengthen your case. The types of damages that you could recover include emotional distress, pain and suffering, medical expenses, lost wages, lost future wages, funeral and burial costs, and other relevant costs. When you receive the compensation that you deserve, you do not have to worry about the financial aspects of the injury as you work to move past the event. Electric shock can be very serious, resulting in injury or death. It can cause serious burns, brain damage, damage to the heart, and much more. If you or a loved one has been affected by electric shock due to the negligence of another party, you may be entitled to compensation to pay for medical expenses, pain and suffering, and much more. To find out more about whether or not you have a case and what your options are, call Teplinsky Law Group at 612-465-0320 for a free no obligation consultation with one of our Minnesota personal injury lawyers.